Lunch ...since I never got to have my dessert last night. We THMers daren't miss out on our desserts. 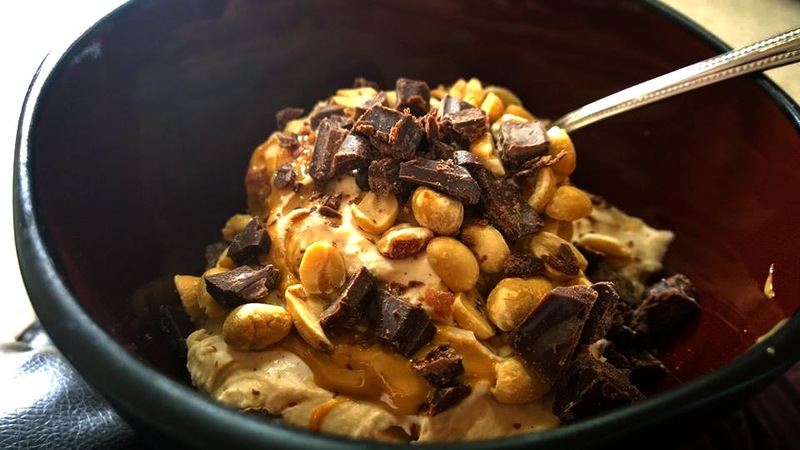 It is a little cream cheese, a scoop of protein, heavy whipping cream, a spoon of natural pb, stevia....whipped up until fluffy....topped with just a drizzle of natural pb, a few peanuts, and some chopped skinny chocolate. LOVE this!!! Did you whip it by hand or in a blender? how much of each ingredient please?